Went 2 the Bridge: Created In 2003, ICE Is The New Gestapo -- How Will We Stop Their Crimes Against Humanity? 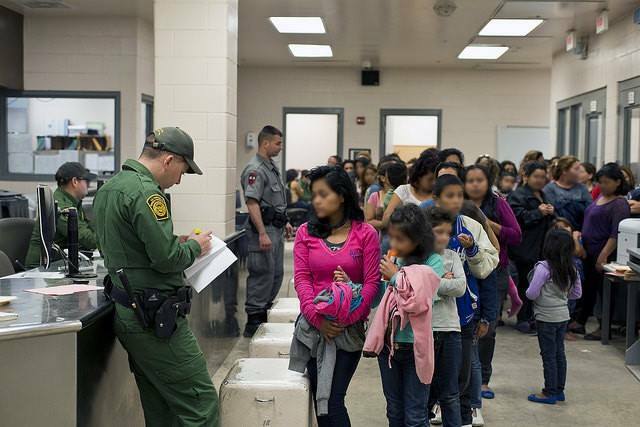 Created In 2003, ICE Is The New Gestapo -- How Will We Stop Their Crimes Against Humanity? 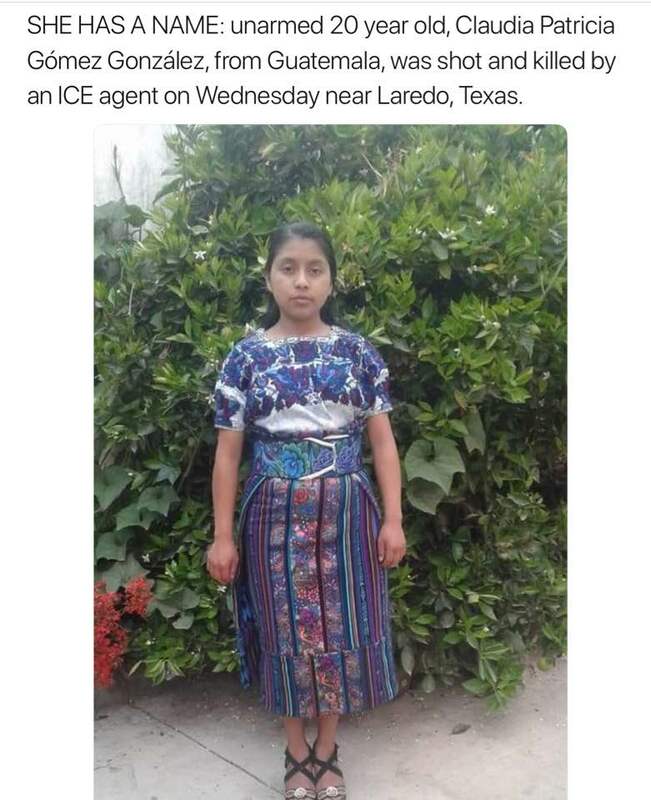 My sister posted this photo of the young woman murdered by border patrol with the comment, "Looks really threatening, huh?" 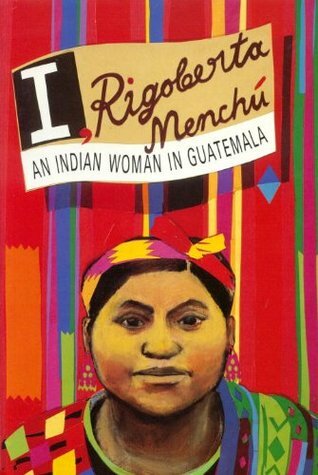 Maybe it's because I've been reading I, Rigoberta Menchú recently, but I can totally understand why a traditionally dressed young woman from Guatemala with a sober expression on her face is perceived as a threat by the violent patriarchy that rules the U.S.
Women in Central America, especially women from indigenous cultures, have mounted decades of serious resistance to right wing governments and the thieving corporations they enable. So, the kleptocracy ascendant here in the USA rightly fears indigenous women. Note that I am not in any way excusing the murder of Claudia Gómez by ICE. The death, which her boyfriend waiting for her in the U.S. called "an assassination," was reported by Molly Hennessy-Fiske in the Los Angeles Times. The story includes an interview with a witness on the scene, amateur videographer Marta Martinez, who sees people running and hiding from ICE in her Texas neighborhood all the time. ICE was only created in 2003, as part of the US's post-9/11 hyper-militarized, xenophobic frenzy. We didn't have this department 16 years ago, we do not need it, and we should abolish it immediately. I do not say this lightly: ICE is America's gestapo and we should treat them with that level of serious resistance. Dominga Vicente, Gómez’s aunt, told reporters in Guatemala City. The young woman from the Guatemalan highlands had left her home in search of work and education opportunities, Vicente said. Gómez Gonzáles was a Maya-Mam indigenous woman and had reportedly graduated from a program in forensic accounting in 2016. She had hoped to further her education, her father, Gilberto Gómez, told the Guatemalan newspaper Prensa Libre. Back to the Gestapo theme. Did Nazi Germany as a "powerful and developed country" treat Jews, including young women and children, as animals? Unless you're a child yourself, you know full well that they did. Did you think as you learned about the Holocaust: If I had been living in Europe at that time in history I would have resisted with all the resources I had available to me? Well, here we are now. Who is following recent news about Immigration Customs Enforcement (ICE)? For those of us who are citizens, what if it were your kids or my kids? What would you or I want people to do? Anne Frank and her family were deemed illegal border crossers, forced to wear badges on their clothing identifying them as Jews and criminals. One thing you can do: teach Holocaust history, which many young people in the U.S. are completely ignorant about. 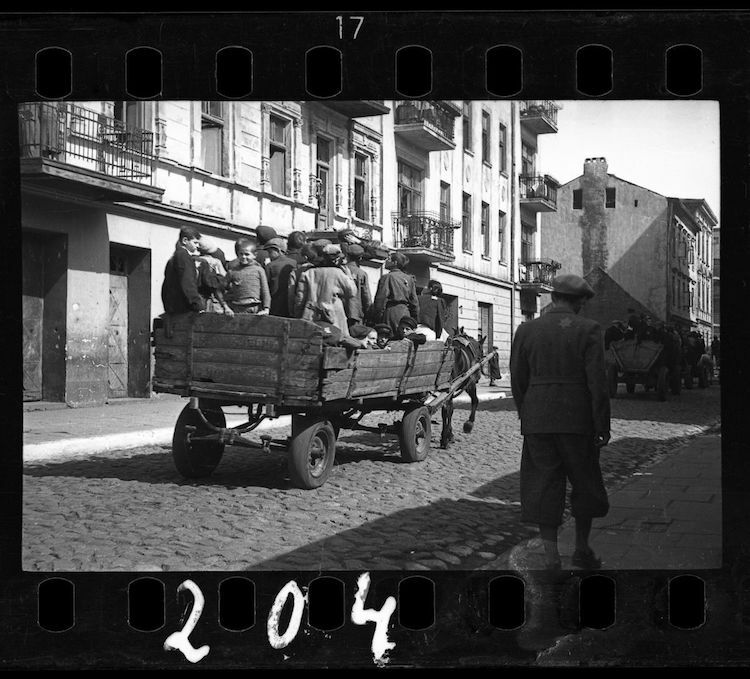 Photo by Henryk Ross "Children being transported to Chelmno nad Nerem (renamed Kulmhof) death camp." You can also join or donate to the ACLU to support the legal fight against ICE detention and separation of families. Or find other organizations to support that are battling ICE forces of evil. You could write to the kleptocrats in Congress and the White House for all the good it will do (note that Obama's record on immigrant detentions and deportations was also abysmal). You can also write letters to the editor, which are free and reach thousands of people daily.